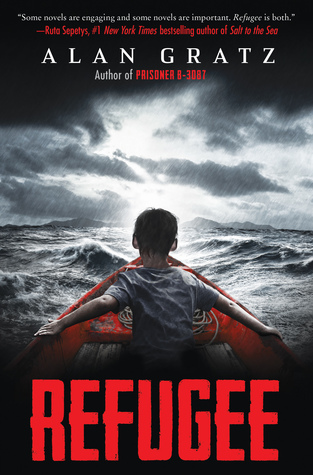 Refugee author Alan Gratz intertwines three unique experiences of young refugee children into one stellar page turner. One tale shares the story of a Jewish boy named Josef and his family’s attempt to flee Nazi occupation in 1938 aboard the MS St. Louis. The historical fiction is based on an actual ship that was denied refuge to Cuba and United States shattering the dreams of many Jews on its return to Europe. Upon its return, Jewish occupants were divided among different countries that later had to face Nazi forces. In a connected tale, a young Cuban girl named Isabel and her family chose to leave the tierney of its homeland Cuba via boat for Miami in 1994. The man-made boat saw its share of obstacles including impeding weather, sharks, and Isabel’s very, very pregnant mother aboard the makeshift watercraft. In the trifecta of Gratz’ creation was a story about a Syrian child, Mahmoud, who was forced to leave his home country in the face of civil war. Leaving his hometown of Aleppo with his family in toe, Mahmoud travels east across Turkey, boats to Greece, and eventually seeks asylum in Germany. Struggling to stay alive, the family is exploited due to their desperate situation and vulnerability to stay alive. Each child — Josef, Isabel, and Mahmoud — struggle throughout the journey and leave the reader with wanting more at each cliffhanger. The short chapters and vivid description of the powerful realities for refugee children opened the eyes of children into the history of past, present, and future. Alternating the three stories in three different settings and time frames was astonishing for my students. Why? They could not believe how similar each child’s struggle was and how history continued to repeat itself as Deferred Action for Childhood Arrivals (DACA) was being debated in the news as we read the book aloud. The length of chapters allowed the book to be an easy classroom read aloud and its cliffhangers kept the students wanting more. 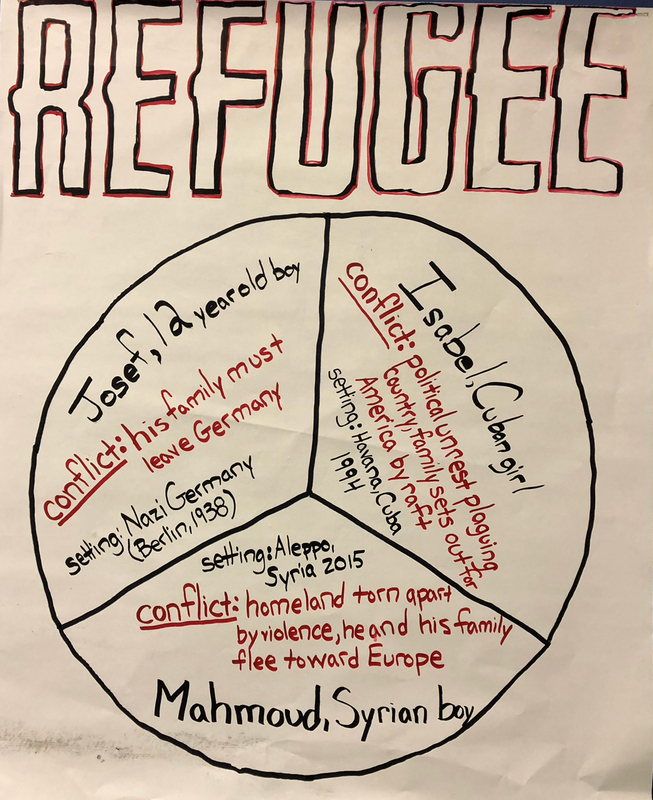 Each child was able to connect the protagonists to other classroom activity on immigration. Furthermore, Gratz skillfully connected the different stories and its characters at the end, adding to the closure for the reader. Explain why the author chose to develop the novel using three different stories. Cliffhanger Story Continuation: At the conclusion of page 291, Josef’s mother is faced with an extremely tough decision. Instruct students to write a continuation of the chapter. Later, students will be able to compare their writing to what actually happened as Gratz reveals the result in later chapters. Refugee is an amazing books, and it offered many powerful messages for young people. The senseless acts of violence each character endured is not uncommon and still active in today’s world. The historical aspects to the novels challenged students to look deeper into these time periods and ask questions, which I adored this opportunity for my students. As immigration is a hot topic this novel could have gotten very political, but Gratz omitted the politics and focused on the journeys of each character as well as their development.